Welcome to Hydro-Jet Solutions Australia! 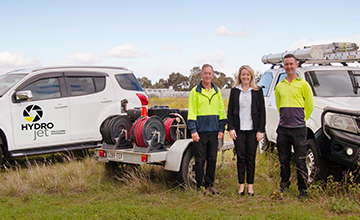 We are proudly South Australian owned and operated company, specialising in all areas of plumbing, including Commercial, Industrial, Hospitality and Residential. We are able to service all your plumbing needs, from leaking taps, hot water servicing and replacement, back flow prevention and testing, roof plumbing, burst and leaking pipes. 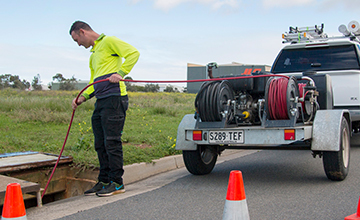 We also provide specialised service in Hydro-Jet drain cleaning and Digital Image inspection of drains with a full location service. With a team providing over 50 years of experience, we are able to assist you with the most difficult of plumbing issues. 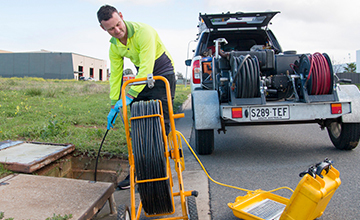 We are driven to make Hydro-Jet Solutions Australia, Adelaide’s leaders in plumbing maintenance, to all of the Industrial, Commercial and Domestic sectors. We welcome you to contact us to discuss how Hydro-Jet Solutions Australia can provide you with a complete plumbing solution. Hydro-Jet were amazing!! They came to my house after a larger company came in and charged $500 to fix a blocked drain. This was fixed for 2 days!!! Hydro-Jet cleared the drain after having their camera down it to see what was really wrong. After being told by this bigger company that I need to replace all my pipes for thousands of $$, Hydro-Jet explained that this is not the case and they could clean it out properly.